A trip to Machu Picchu requires planning and anticipation. But, whether you choose the high season or the low season, the question is, how do you make the most of your trip? Deciding between high and low season is directly related to the number of people who will be with you in Machu Picchu, prices and weather, but also booking times. If you ask us, we will tell you that a trip to Machu Picchu in the low season is better, this will make your vacation that, vacation; where one goes to rest and charge the batteries, and what better place than Machu Picchu, a place charged with energy. The high season already has enough people who choose it because they want to, or because they have to come during this time. So when should I visit Machu Picchu? In high season or low season? Traveling in the low season is the best way to enjoy your vacation in Machu Picchu, and after knowing what we have to say, you will agree with us. There are several reasons why it is better to come in the low season. The high season of visits to Machu Picchu coincides with the holidays in North America and Europe, and occurs between the months of May and August. But there are also large numbers of visitors at the end of the year and on public holidays, which usually coincide in most countries. Hence the denomination. The high season in Machu Picchu and Cusco also coincides with the dry season; however, to tell the truth, Machu Picchu can have a torrential rain at any time of the year, due to its location in the Amazon jungle; This is why, no matter what time of year you come, you will need to bring a rain poncho with you. The high season in Machu Picchu is a rich cultural exchange; people from all over the world come together in the navel of the world (Cusco), in Aguas Calientes and Machu Picchu; You can make many new friendships. In Cusco (in June) the “Inti Raymi Festival” (festival of the sun) takes place, this is celebrated during the winter solstice (in the southern hemisphere). It is the best time to book Machu Picchu tickets that include the Machu Picchu or Huayna Picchu mountains. 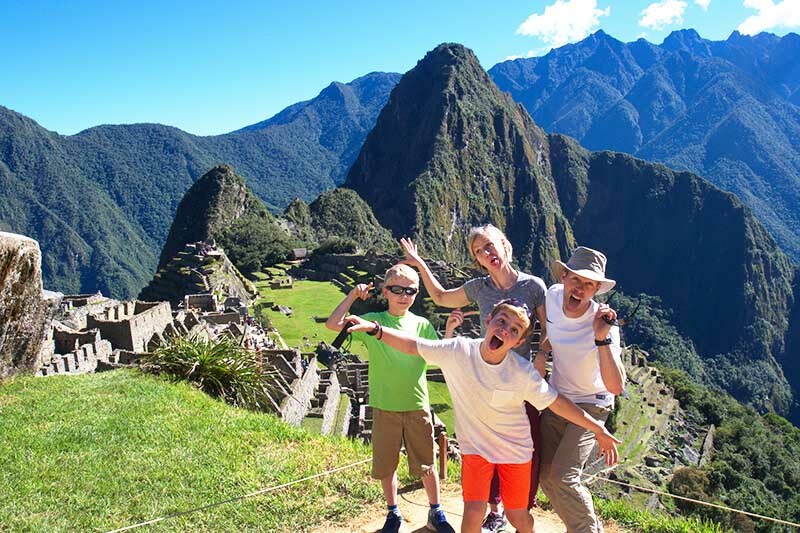 Anyone wishing to come during this season must book their entrance to Machu Picchu several months in advance; we recommend doing it 6 months before, to be able to choose among all possible experiences. In addition, you must also book in advance, train tickets, hotels and additional tours, such as participating in the festival of the sun in Sacsayhuaman. It is called low season, because of the presence of rain, it becomes, for some, the best time to enjoy Machu Picchu. The prices are lower, the places to visit have fewer people and you will enjoy the green landscape of Machu Picchu more. The streets have less movement, the shops will devote more attention than normal and, unlike what everyone thinks, the rains usually fall in the afternoon. We recommend booking the ticket Machu Picchu morning shift. 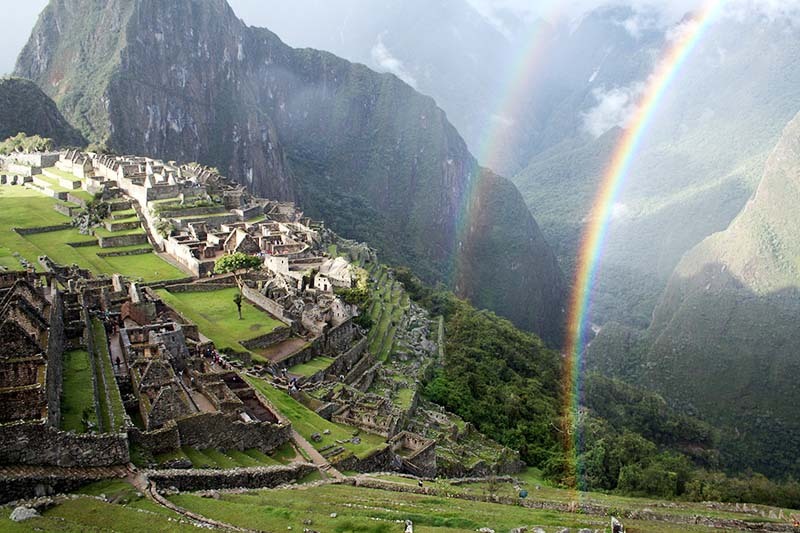 We know you know that the Inca city of Machu Picchu is beautiful, but now, imagine it under one, two or three rainbows, forming a surreal landscape. On the other hand, if it is low season does not mean you can wait to book the Machu Picchu tickets, much less if you want to climb the mountain Huayna Picchu. 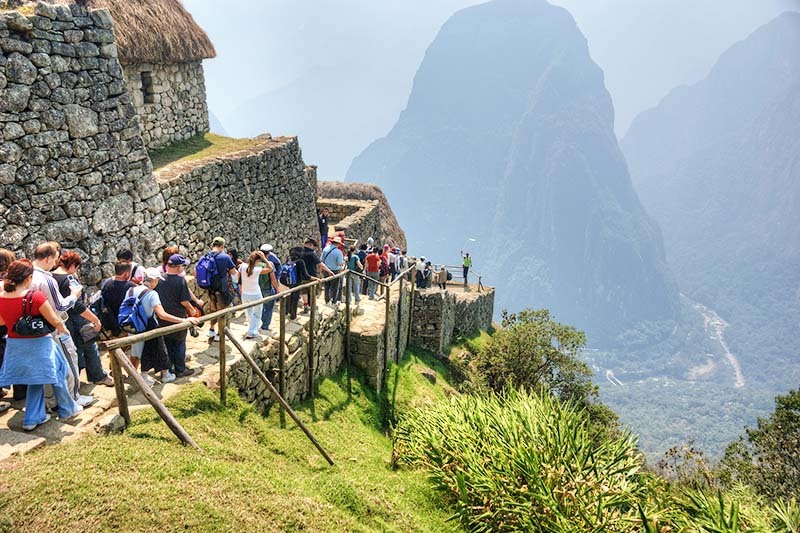 In high season the Machu Picchu + Huayna Picchu tickets must be reserved at least 6 months before, during the low season you can do it up to 3 months in advance. Booking destinations such as Machu Picchu and Cusco in advance can guarantee that your trip does not happen unforeseen, you will not like to have them on a trip like this. The low season is the time when you can enjoy more of the beauty of this Inca city nestled in the mountains of the jungle; everything is quieter, the climate is more temperate and again, there are fewer people. However, let’s put something in clear, with all the sun and the enormous amount of people of the high season, Cusco is the best place to visit in South America, and Machu Picchu is one of the seven wonders of the world. If you want us to take care of your trip to Machu Picchu, write to info@boletomachupicchu.com.